After about three hour road trip from Kota, you will be arrived at “Tiger Planet” Ranthambore National Park. You will be welcomed at your pre booked hotel in Ranthambore. After check in into hotel you get refreshed and take lunch in hotel restaurant. Post lunch, ready for late afternoon Ranthambore Safari tour in Tiger Reserve. You will come back from tiger safari around at twilight. To remove the fatigue of the safari, you can sit in the hotel garden and take tea & coffee. After having delicious dinner in dining hall, stay overnight in hotel. Get up early to go safari in the morning shift. Take tea and coffee with some cookies quickly while in the time. Boarded to your safari vehicle, go to Ranthambore National Park for wildlife expedition tour. 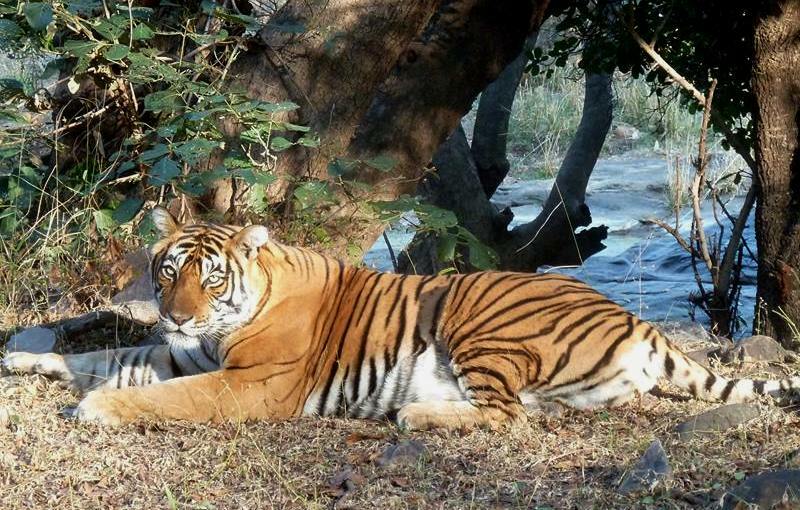 The Jungle safaris visit in Ranthambore is last for about three hours. After returning from the Ranthambore jungle safari trip, take a yummy and healthy breakfast in hotel restaurant. After breakfast check out and back to home with a good experience of wildlife tour in Ranthambore. - 02 times Jungle Safari as per the itinerary.